My nails have always been a big deal to me. I always have to have them polished and I love trying out the newest nail art trends like everyone else does. I went through a really bad phase of having horrible nails with all the problems you can think of. After I had gotten acrylic nails a long time ago, I got them taken off a couple weeks later and my nails were horribly damaged. That was the first and last time I had planned on getting acrylic nails. After that my nails were brittle, peeling and super weak. My goal was to get back to my strong healthy nails, granted it was a process, but in the end it was definitely worth it. 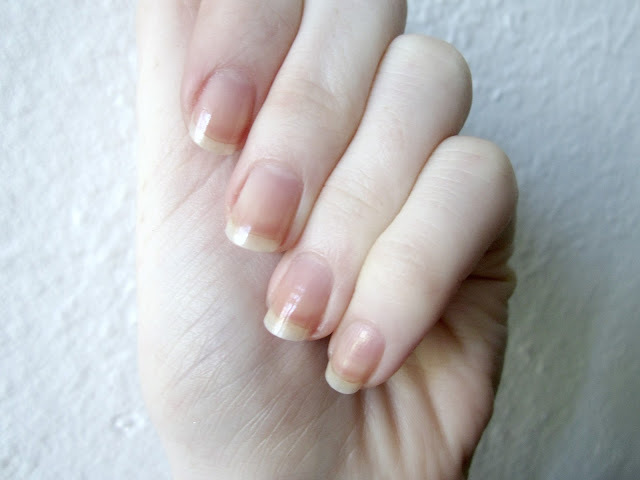 I wanted to share how I keep my nails strong, healthy, and at a pretty good length. 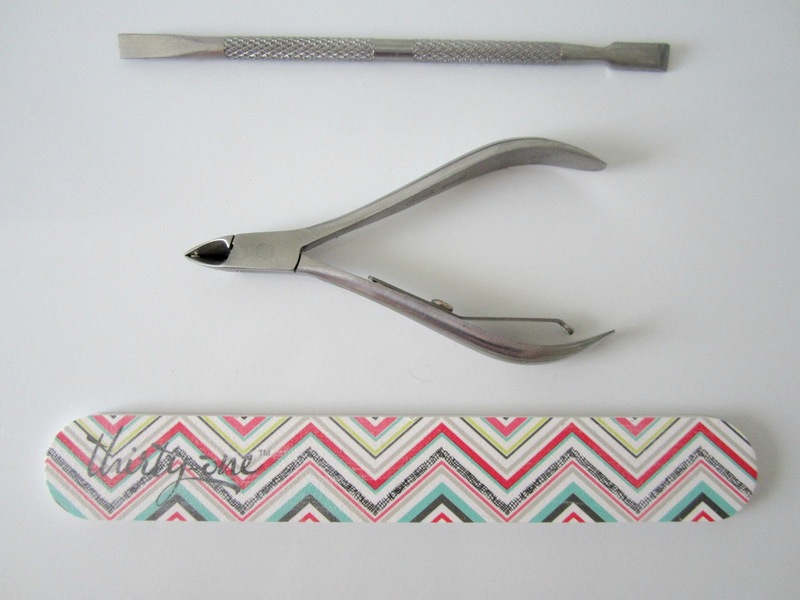 This post will include the products and tools I use to keep my nails pretty! Overall I don’t have a ton of items that I use. Most of them I only use when I am having a really slow day and decide to have a prompt-to mani at my house. To keep my nails white I use a mixture of 1/2 cup HOT water, 4 tablespoons of baking soda, and 2 tablespoons of hydrogen peroxide. I soak my nails in there for a few minutes and they whiten very quickly! You can do that a few times to get your desired shade. My absolute favorite product to use daily is the nail strengthening cream from Hard As Hoof. This product is the one that has helped my nails grow so strong. I used this daily, as it says, for a few weeks then only used it once a week when my nails had grown out and it has helped with preventing breakage. Another product I use quite often is the Burt’s Bees Lemon Butter Cuticle Cream. When my cuticles are feeling dry, I rubbed this into them and they are instantly moisturized. It’s not oily or gross so using it everyday would work! Make sure to push back your cuticles regularly. You can either use your nails, or use a cuticle pusher. This will promote growth in your nails and also make them appear longer. Keeping your hands moisturized is key in preventing both hang nails and dry cuticles. I love Jergens Cherry-Almond Moisturizing Lotion both for the moisturizing effect and the incredible scent! The best chip resistant top coat I have used is Essie No Chips Ahead. I have used a bunch of top coats and this one by far is the best. 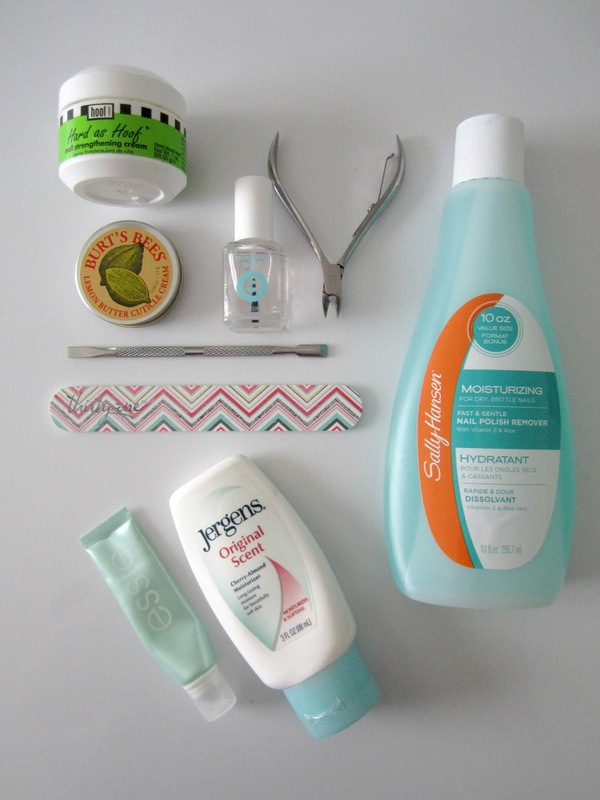 I tend to chip my nail polish a lot, and this has helped make my mani last a few days longer! 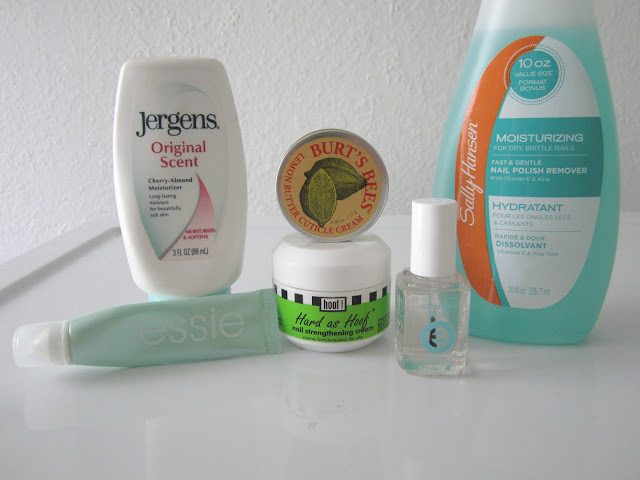 I personally like specific polish removers, like Sally Hansen Moisturizing Polish Remover or Cutex Advanced Revival. They both aren’t drying to my nails and work very well at removing polish, even glitter! If you’re clumsy like me, your nails will break and that just means you’ll need a bit more patience when growing them out. I hope this helped you out and showed you some products to try. Let me know if there are any products or techniques you use to keep your nails in tip top shape! I started taking Biotin after reading about people's great results. My nails have always been pretty strong (I think it's due to drinking lots of water) but the biotin made them even stronger and a lot whiter, even after painting dark reds. People always compliment my nails when I leave them plain. I don't use any strengthening creams or polishes, and my nails are super hard. Sometimes too hard – they're a pain to cut when they get too long!